Looking for a new winter activity? The soft powder at Colorado ski resorts welcomes beginner snowboarders from three years of age into their 60s. Snowboarding — or riding — is all about having fun, whether cruising down a groomed slope, doing a McTwist in a pipe or sliding over a tabletop in a park. Colorado resorts are rife with terrain parks and pipes, snowboard classes for beginners who want to free ride or freestyle and competitions for amateurs, pro and Olympic riders. As with skiing, there are different styles of riding: Free riding is all-mountain riding on the slopes, in the trees, down the steeps and through the moguls. Freestyle is snowboarding in a pipe or terrain park filled with jumps, rails, fun boxes and other features. Parallel giant slalom and snowboard cross are primarily competition events (picture the riding at the Winter Olympics). In Colorado, new and expanded terrain parks open every year and are designed for specific skill levels, from beginner parks with tiny rails hugging the ground to parks with roller-coaster rails tabletops. Within huge parks, such as Keystone Resort's A51 Terrain Park, you'll find all different ages playing — from a skilled rider taking on the Main Street jump line to a 50-year-old experimenting on a wider, lower-to-the-ground fun box. In the Railyard, one of Winter Park Resort's six terrain parks, there are duplicates of the rails on the steps of Colorado's State Capitol building as well as the rails on the steps at Colorado's famous Red Rocks Amphitheatre. Learn more about skiing and riding lessons at Colorado's ski resorts. Colorado's reputation as a home for snowboarding is nationwide, as the state has been selected to host events such as ESPN's Winter X Games at Aspen/Snowmass and Snowboard World Cup in Copper Mountain. 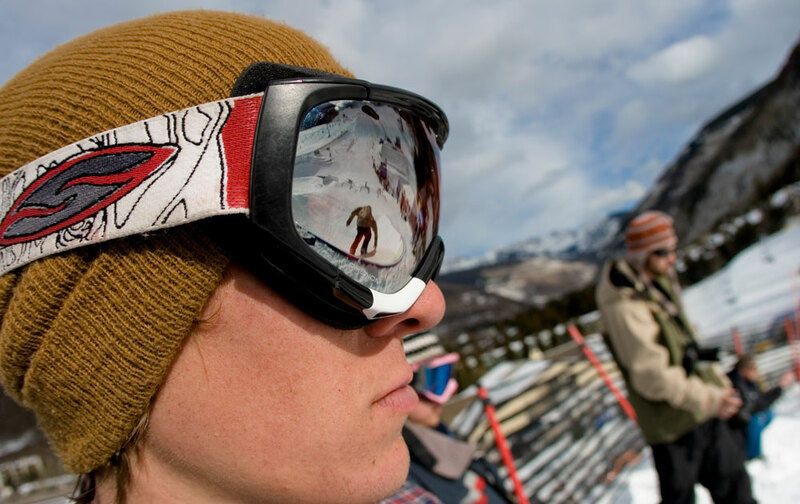 Most of the major resorts and many of the smaller ones have amateur competitions, ranging from the Copper Mountain U.S. Snowboarding and Free Skiing Grand Prix to Breckenridge's Winter Dew Tour.